Home > Guides > How to Track PAN Card Status online? You can track the status of your PAN Card application at the NSDL site after you have filed an application for a new PAN card or for a duplicate PAN card or for a reprint of PAN card. You should track your PAN card status at least after 3 days of submitting the PAN Card application. 2. Name and Date of birth: If you do not have the acknowledgement number then you can use your Name and Date of Birth details to see the PAN card application status. 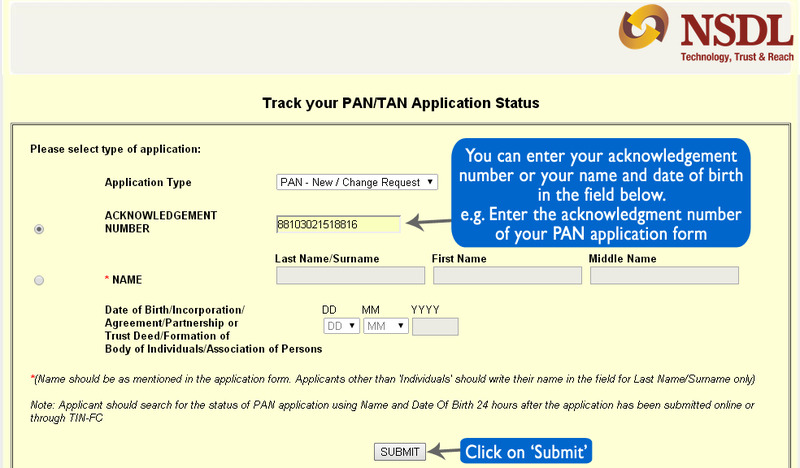 To track PAN Card application status, go to https://tin.tin.nsdl.com/pantan/StatusTrack.html. 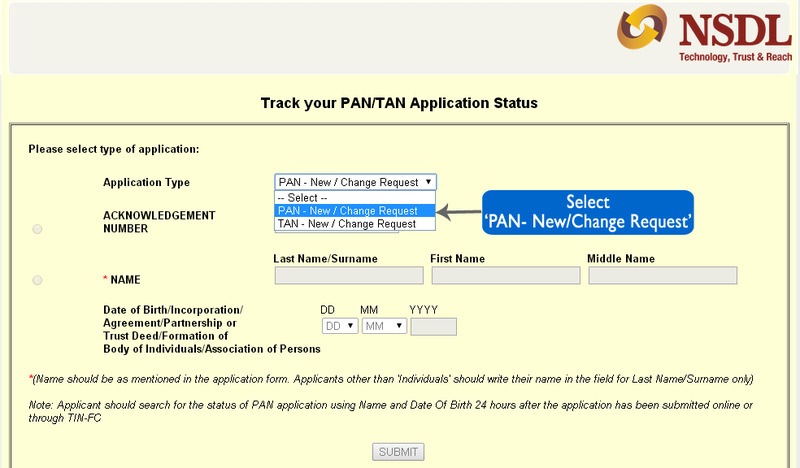 Step 2: Select the application type as 'PAN - New/Change Request' as shown in the figure below. Step 3: You can either enter acknowledgment number of your PAN card application or you can simply enter your Full name and Date of Birth to retrieve the application status. 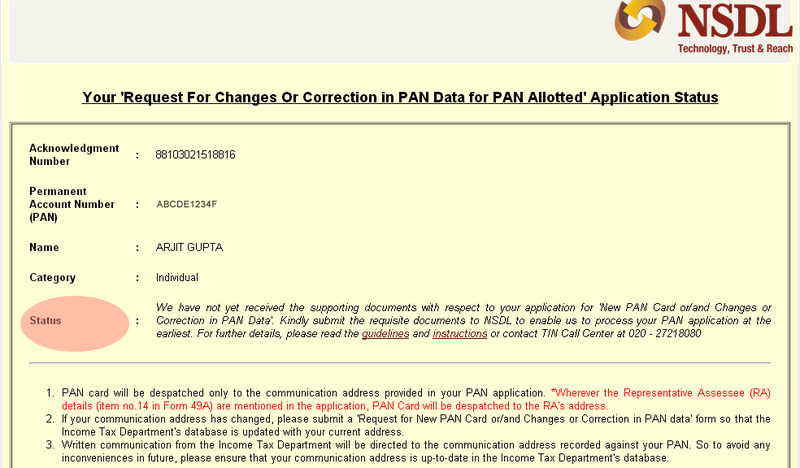 For e.g., enter your PAN Card application acknowledgement number and click on 'Submit' (as shown in the figure below). Your Application Status will be shown. See the sample below. Remember you must send a signed copy of your PAN card application to the NSDL office along with certain documents required for PAN application. If you see the status related to supporting documents not received then either you have not sent the documents yet or the documents have not been received by the NSDL office. In the later case, you can wait for few days and re-check the status again. Check our complete guide on How to apply for a duplicate PAN card where you can view the complete PAN card application process, NSDL address and the documents required for PAN application.